We are finally seeing light at the end of the tunnel of a seemingly never-ending winter, and I, for one, could not be happier to feel the sunshine! The warming weather also means both the Kansas and Missouri legislatures have a limited amount of time left to get bills passed in 2019. Both legislatures are now past the midpoint of their regular sessions, so this is a great time to slow down and recap some of the health policy issues that Health Forward is closely watching. Health Forward’s policy agenda is the roadmap that guides our advocacy work and helps us determine when and where to use our voice in support of policies that will benefit those most in need across our communities. Maintain and advance access to health coverage for low-income, vulnerable, and uninsured residents of Kansas and Missouri. Much of the health policy discussion in Kansas has been centered on proposed legislation that would expand KanCare (the state’s Medicaid program) to the more than 150,000 Kansans that fall into the coverage gap. Gov. Laura Kelly has made expansion one of her top priorities since she came into office. An independent study from the Kansas Health Institute released this month has helped shape debate on the issue during the last few weeks. Among other findings, the report estimates an increase in state revenues ranging between $12.9 million to $16.2 million in fiscal year 2020. This compares favorably with the fiscal note from Gov. Kelly’s expansion bill, which estimates a net cost to the state (without increased sales and income tax revenue) of $13.6 million in FY 2020. Additionally, the House Committee on Health and Human Services held a series of roundtable discussions earlier this month to explore costs and benefits of expansion. We are thrilled that House Bill 2066 was debated on the House floor last week and made some exciting progress. 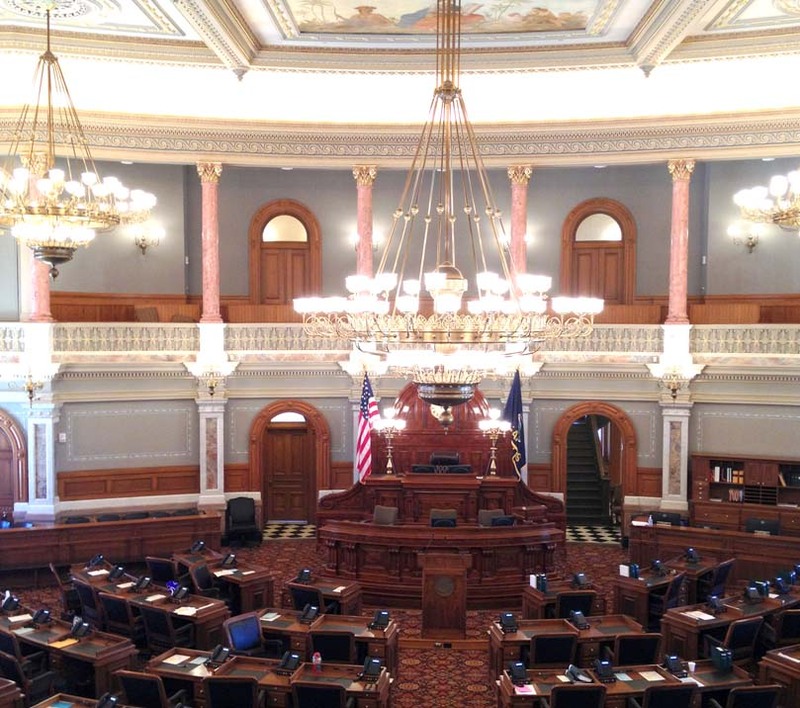 69 House members voted in favor of expansion, and now the expansion bill moves to the Senate for debate and Kansas is one step closer to Medicaid expansion. Bills related to expansion of the MO HealthNet program (Missouri’s Medicaid program) have not had much traction. However, there has been plenty of discussion on legislation that would make incremental changes to the program. 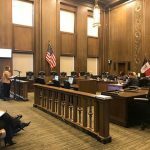 The Senate Committee on Seniors, Families and Children recently heard SB 77, which would require the Department of Social Services to apply for a global waiver for MO HealthNet. In this case, a global waiver could move Missouri toward receiving a fixed amount of funding for the MO HealthNet program, where costs that exceed the federal spending cap would have to be covered by the state (see our infographic on exploring Medicaid block grant financing). We have also been paying close attention to SB 76, which would add certain work and community service requirements to MO HealthNet, and SB 4, which would add requirements to the Supplemental Nutrition Assistance Program. 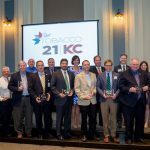 Health Forward has urged regional legislators to consider the unintended consequences that could make it more difficult for low-income Missourians to maintain access to healthy and nutritious foods. Additionally, bills HB 669 and SB 393 would suspend MO HealthNet benefits for incarcerated individuals, rather than terminate their enrollment in the program. Encourage the adoption of a statewide prescription drug monitoring program in Missouri. Missouri remains the only state to not have a statewide prescription drug monitoring program. Currently 84 percent of the state’s population does fall within the St. Louis County monitoring program and our entire service area is covered. There are currently two similar bills, HB 188 and SB 155, making their way through the chambers that would finally enact a statewide prescription drug monitoring program in Missouri. In general, leadership seems to be supportive of the legislation, which will be important as debate continues at the statehouse. Support funding of a state infrastructure that is adequate to administer, maintain, and analyze data from Medicaid programs. The IT system that powers MO HealthNet, Medicaid Management Information System (MMIS), is old and in need of replacement. We are pleased that progress is being made on the lengthy road toward MMIS transition. Gov. Parson’s 2020 budget request includes $3.6 million ($430,000 from general revenue) for MMIS replacement and administration, and additional support services including two full-time employees to work on technical strategy and planning. This is a great step toward having a re-engineered system that will appropriately support Missouri’s Medicaid program. Explore policies that will enhance access to safe, affordable, and healthy housing. At the state level in Missouri, we saw movement regarding the Low-Income Housing Tax Credit (LIHTC) program, which was halted by former Gov. Greitens in 2017. SB 28 was perfected and places a cap on the amount of state LIHTCs that may be authorized in a fiscal year. The program is capped at 72.5 percent of the amount of federal LIHTCs allocated to the state. Thanks, Patricio! We plan to run a final recap at the close of the legislative session.